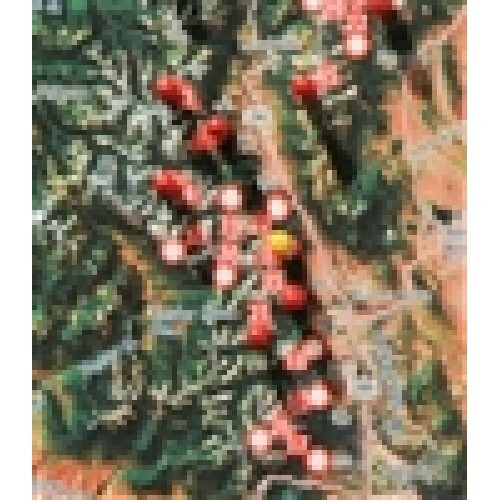 Our 14er hiking art lets you visually represent your achievements by marking each hiked peak with a magnetic pin. 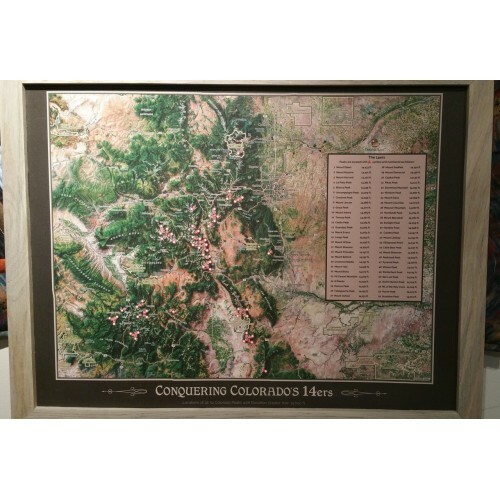 Celebrate you 14er accomplishments with this unique gift and display. This beautifully framed display is printed on to a newly developed and patented magnetic receptive canvas developed by a Colorado company. 54 of the Colorado 14ers are represented by position topographically . This is a great way to keep track of your progress as you work toward completing all of the great 14ers located in Colorado. **shipping for this product is specific due to size weight and insurance***** **Delivery on this product can take 7 to 10 business days, and may be shipped separate from your total order.